culture.politics.opinion: "Fresher and healthier ... than in many years" or a Swansong to life? "Fresher and healthier ... than in many years" or a Swansong to life? 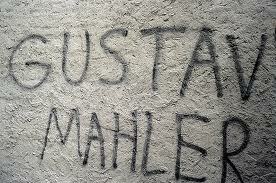 Gustav Mahler is a composer who inspires great emotions. Music fans generally love of hate his music. It is uncompromising, intense and all-encompassing music that takes no prisoners! So it is no surprise that passions run high amongst fans when a controversial new recording or performance of Mahler's music comes around. Of late, one of the most discussed has been Roger Norrington's recording and recent London Proms performance (25 July 2011) of Mahler's Symphony No. 9. Norrington has really ruffled quite a few feathers. David Hurwitz writes that Norrington has "
no business conducting Mahler". Gavin Plumley labelled the Proms concert "an appalling misreading". Most of the fuss is about the fact that Norrington has his string players eschew the use of vibrato in the belief that this is closer to the sound Mahler himself would have known. But at the heart of the matter is the very nature of Mahler's last completed symphony. Posterity has over the last century woven a thick air of myth around this music. The accepted wisdom is that the symphony is the composer's swansong as he faced death and that it is the world of a dying man that any conductor should aim to recreate. The problem is that this is little more than a cherished myth developed posthumously by critics and other musicians. Vera Micznik pretty much exposed that fact back in 1996 in her excellent article titled The Farewell Story of Mahler's Ninth Symphony. She writes that "the early critics who appreciated the man and his music could not dissociate their grieving at the unfortunate loss of the man from the appreciation of his work." Micznik then delves into the documentary evidence in the form of letters from Mahler around the time he wrote his ninth. Far from being consciously at the end of his life Mahler wrote to the conductor Bruno Walter in early 1910 (precisely when when many writers have him as staring death in the face) that "On the whole I feel myself fresher and healthier in this activity and mode of life than in many years. Do you really believe that a man as accustomed to activity as I am could feel lastingly well as a 'pensioner'?" Micznik builds a well-documented and historically supported argument that "The farewell story of Mahler's Ninth Symphony should thus be understood both historically and analytically as a fictional narrative: a tale spun through the interaction of various mythologizing techniques common in the historical context in which it originated, and never questioned in subsequent periods." Whether conductors should perform works in keeping with the social accretion that accumulates on famous works or should concentrate on the musical text itself is another debate. But it is fair to say that anyone who wants to hear a Mahler Ninth that is garnered in farewells to life and premonitions of death is willfully ignorant of the composer's own thoughts and sentiments. What struck me about Norrington's conducting was that he was 'too old' for it. He conducted from a sitting position. Whether it is about Mahler's passing out of this world or not, it tars it with a different baton when conducted by someone who 'does' believe he doesn't have much time left-as seemed to be the case with Norrington. It was strangely cold and remote, which ironically may come from the fact that Norrington may identify with it too closely-or even sentimentally. Any 'drama' whether theatre or music needs some virility or life force. One must actively play against text or music to bring out the more passive emotions. Passivity - succumbing in any form - grief, sorrow, death - becomes indulgent if it is just 'expressed' as such. Another issue with the lack of vibrato was that it was very difficult for the orchestra to stay in tune and keep vitality through to the end of the note. I saw Beethoven done in exactly the same way, and while it was some fifteen minutes shorter than usual...it does seem that conductors are subject to fads and trends as much as anybody else in commercial fashion. Thanks for the thoughts. Most interesting. Klemperer also conducted while seated near the end of his life. Another interesting character! Oh...and to illustrate my point. It was conducted 'athletically' by Thierry Fischer. Though 'vibratoless', I've never seen the bowing arms of the string players work so hard. In my opinion it worked. The intensity has to come from somewhere. Speaking of intense, Gianandrea Noseda's conducting of Listz' Dante Symphony was breathtaking...oh, if only the orchestra could have gone all the way with him! They were Brits afterall...need an inordinate amount of foreplay. Castorf to direct 2013 Bayreuth Ring?